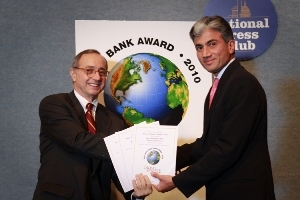 For the last twelve years, Global Finance has conducted its Best Bank Award Ceremony during the Annual Meetings of the IMF and World Bank. 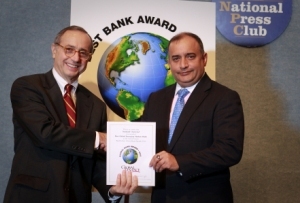 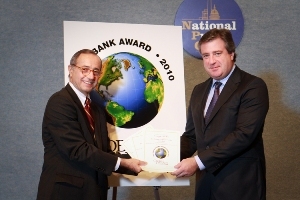 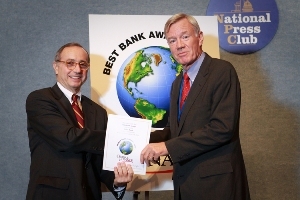 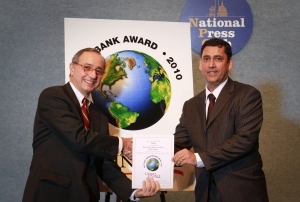 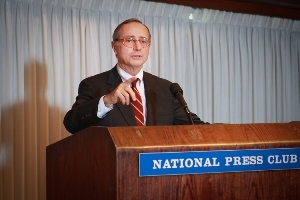 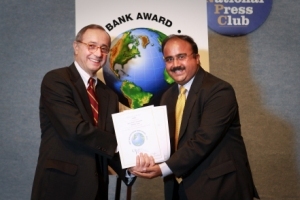 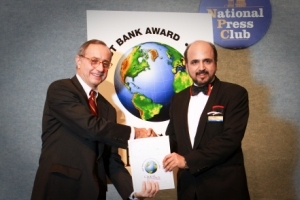 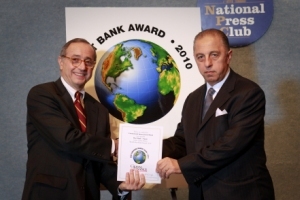 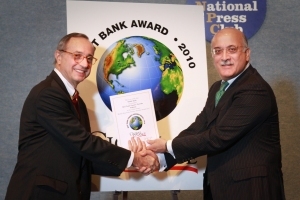 This year the World's Best Bank Awards 2010 were held on the morning of October 9, 2010 at the National Press Club in Washington DC. 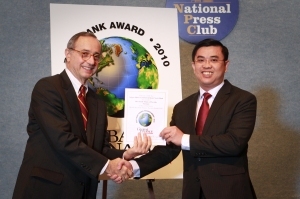 Nearly 200 senior executives from 90 banks in more than 75 countries attended the event and received their certificate in front of an audience of their peers. 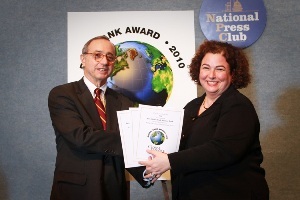 Awards were distributed in two morning sessions: 9:00-10:00am and 10:15-11:15am. 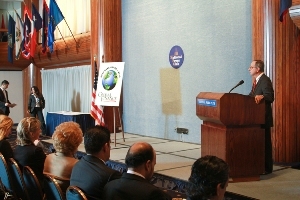 Please see ceremony schedule below for more details. 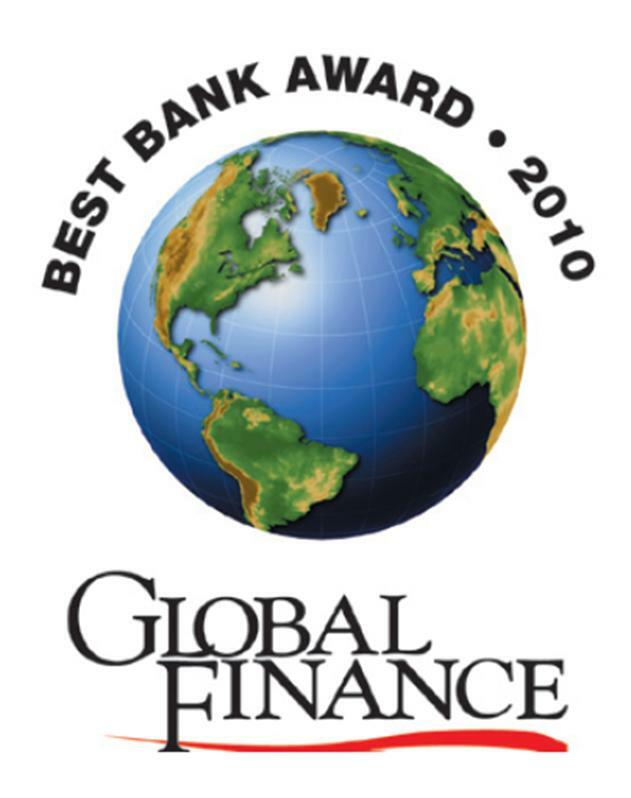 To make the awards selections, Global Finance looked for operations that set the standard for the competition. 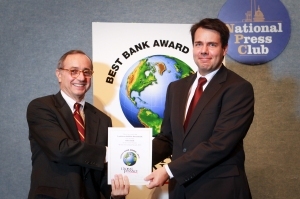 It employed both subjective and objective criteria in picking our winners. 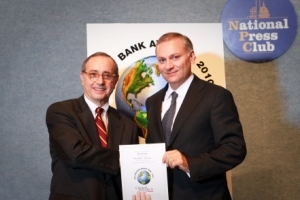 More than ever, customers are demanding superior competence from their partners. 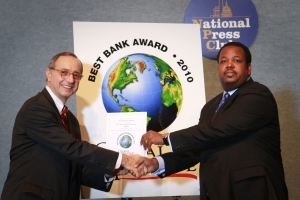 Global Finance selected banks best providing that competence. 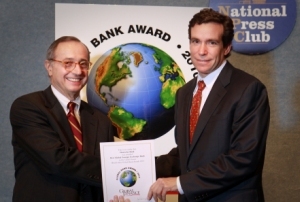 The winners were not necessarily the biggest or oldest, but rather the best – those that companies and investors should choose to handle their financial service needs. 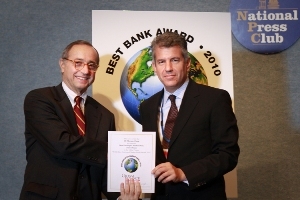 accepting "Best Foreign Exchange Provider in Canada"
accepting "Best Global Foreign Exchange Bank"
accepting "Best Global Emerging Market Bank"
accepting "Best Trade Finance Bank in Qatar"
accepting "Best Bank in Egypt"
Mr. Saad Azhari, CEO, Blom Bank, accepting "Best Bank in Lebanon"
accepting "Best Sub-Custodian in Asia & Middle East"
accepting "Best Bank in Pakistan"
accepting "Best Trade Finance Bank in Nigeria"
accepting "Best Trade Finance Bank in Saudi Arabia"
accepting "Best Trade Finance Bank in Vietnam"
accepting "Best Foreign Exchange Provider in North America and Latin America"
accepting "Best Bank Bank in the United States"
Mr. Stefan Goebel, Managing Director, Head of Treasury, Rentenbank, accepting "Safest Bank Award"
accepting "Best Investment Bank in the Financial Institutions, Media/Entertainment and Oil & Gas Sectors;Most Creative Investment Bank"